Ramiro Restrepo had spent the past 16 hours in some form of transit, logging air and highway miles from Chile to Miami to Ocala to do some networking ahead of the juvenile sale season. If anyone had an excuse to be off his game as he met with buyers and consignors, it was Fasig-Tipton's South Florida field representative. It was a card Restrepo didn't need to play. His energy was irrepressible as he dished out fist-bumps to passers-by and spoke with the enthusiasm of someone just starting their day, not finishing one that started on the other side of the world. The explanation for his ever-charged battery is simple – he was bred for this. Restrepo is the fifth generation of his family to participate in the Thoroughbred industry, reaching back to his great-great grandfather, who owned racehorses in Colombia in the 1800s. He could recall each branch of the family tree's contribution to its racing legacy with ease, from a grandfather who owned racetracks in Colombia to uncles who emigrated to New York and became trainers. That said, Restrepo admitted his page of the story was far from a carbon copy. 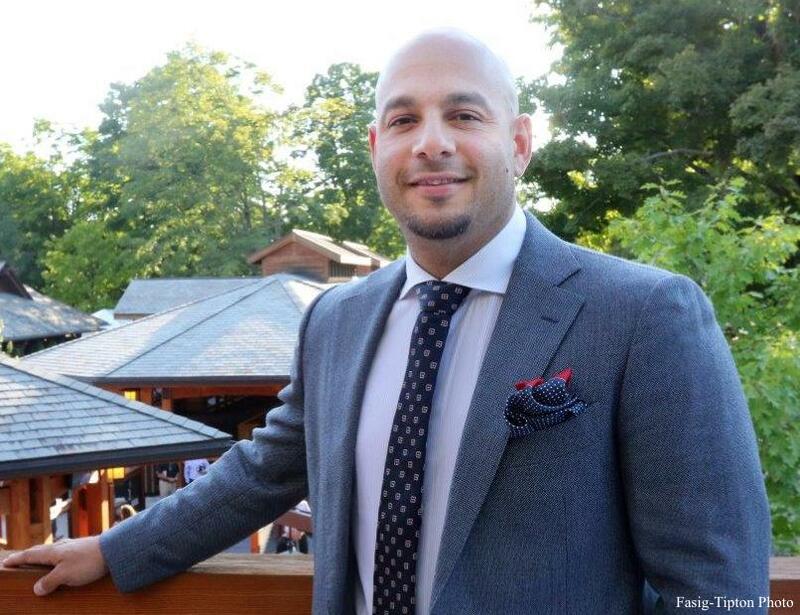 Restrepo, 40, is in the midst of his fifth year with Fasig-Tipton, after beginning his professional career in the nightlife and beverage industries. He got in at the ground floor with Strategic Hospitality Group out of college, which developed into one of the world's leading nightclub operators. The money was good, but the economic crash of 2008 changed how people spent their disposable income, and as a thirtysomething, he was starting to become one of the older people in the room. The connections he made with beverage companies gave him an opportunity to transition into marketing divisions with Miller Brewing Company and Bacardi before landing with Boston Beer Company, which handles the Samuel Adams and Angry Orchard brands. In the meantime, Restrepo started dabbling in horse ownership, owning fractions of runners in South Florida and growing his presence at auctions, eventually meeting up with members of the Fasig-Tipton team. As time went on, Restrepo became increasingly disenchanted with the nightlife scene, and a generations-old voice started calling to him. The job is a natural combination of his strengths: a depth of knowledge in the family business and an ability to get in front of the right people and be engaging. South America is a growing part of the North American market, from horsemen in Florida to breeders in Kentucky, and Restrepo's background puts him in a unique position to help expand it further. What started as a six-month contract with Fasig-Tipton for the inaugural Gulfstream 2-Year-Olds In Training Sale in 2015 turned into a full-time job after the initial returns were positive. Later that year, South American group El Capi RacContinued from Page 1 PRS ing bought the sale-topper at the Saratoga Select Yearling sale, landing the Tapit colt Glory or Nothing for $2 million. Restrepo's recent trip to Chile was part of a multi-country swing through South America in Fasig-Tipton's effort to attract new buyers and sellers for its auctions. While the company's marquee events like the Saratoga select and November mixed sales are always high-priority, Restrepo said attracting South American interests to trade in Fasig-Tipton's other markets – even regional ones – is a goal of the visits. “Just seeing American bloodlines down there and them bringing down American stallions, you see how they're open to our market,” he said. “A lot of farms are already participating here pretty heavily like Don Alberto Farm, but when I went down there, I saw a lot of farms who are active, but on a small scale. They're dipping their toes, so it was great to get down there and meet those guys and start locking in commitments for their U.S. weanlings based in the Northern Hemisphere. This entry was posted in NL Article, Ray's Paddock and tagged fasig-tipton, Ramiro Restrepo, south american racing and breeding, Thoroughbred Auctions by Joe Nevills. Bookmark the permalink.